Scheduled Transactions. Now on iPhone too. 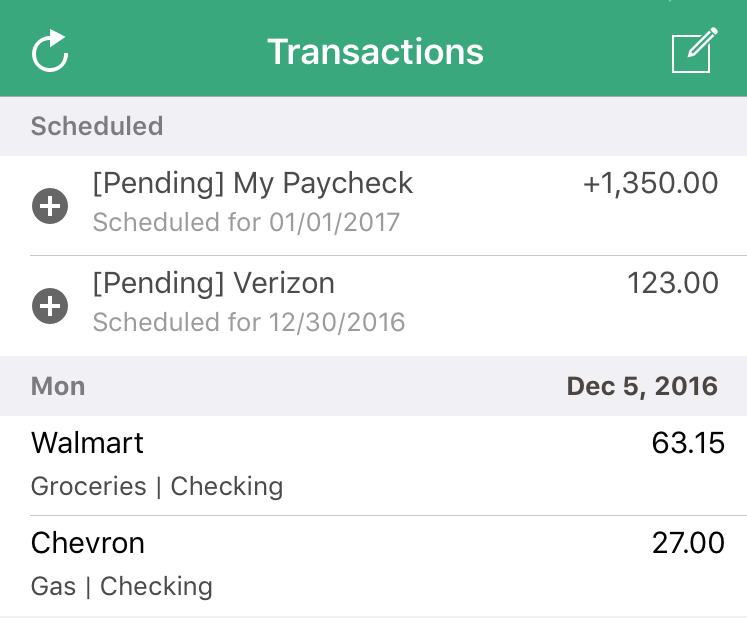 Tap the ‘Schedule this…’ box when you’re adding a transaction to create a weekly expense, monthly income, or yearly transfer. Wake up to full, green Envelopes on the first of the month! Schedule your Envelope Fill, and we’ll do the rest automatically — every month. To get started, tap on the Fill Envelopes icon and tell Goodbudget how you’d like to fill those Envelopes each time. And, remember to schedule it! Get the latest version of Goodbudget from the App Store! P.S. This feature is also available on Android. Head to the Google Play Store to download to get the update.